It would be totally impossible for me to pick one place that is unquestionably #1 on my list of Favorite Places. With that in mind I can say that it’s pretty easy to compile a list of “must see” places. Without any hesitation Capitol Reef National Park in Utah’s Red Rock Country has to be on that list. Named for the white, dome-shaped rocks that resemble the domes of capital building everywhere, this area is spectacular by any measure. 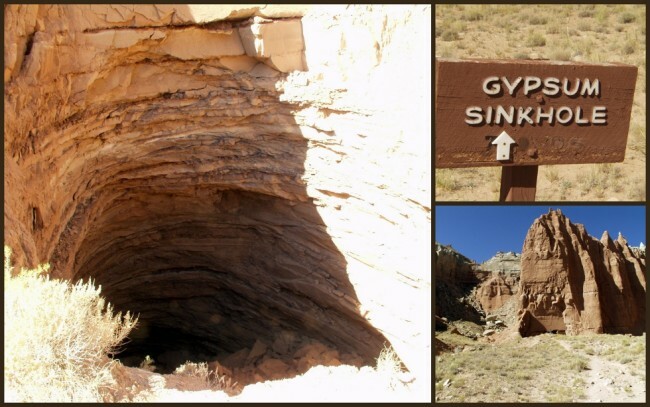 For example, if your travels take you into Cathedral Valley you’ll have a chance to check out an amazing gypsum sinkhole out in the middle of nowhere. It was formed by the deposition of this water-soluble mineral from the underlying Carmel Formation. 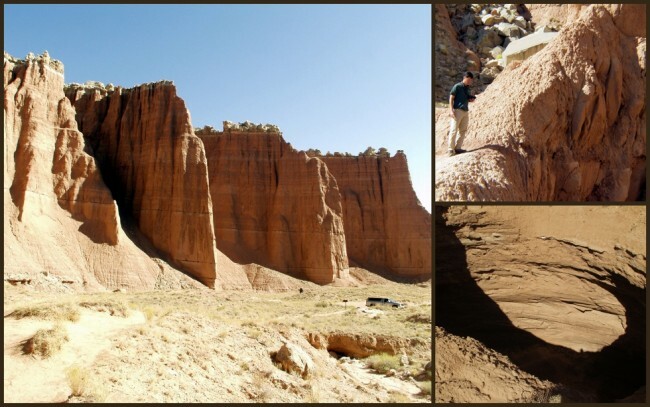 The hole itself was created by erosion of dikes and sills (thin bodies of igneous rock) in the Upper Cathedral Valley. They’re fairly recent in geologic terms; only three to six million years old. One of the great things about Capitol Reef is the geologic diversity. This is a place where you can find pretty much countless interesting features, enough for several lifetimes of study. The park lies in the Waterpocket Fold near the Fremont River. You can examine nearly 10,000 feet of sedimentary rock strata, some dating back as far as the Permian Period, almost 270 million ago. Last modified on: December 29th 2015.